"Shift by shift, the miner works upward until the stope is completely drilled. Then the ore is drawn off, via the chute, into ore cars, and the timbermen go in to fit timbers to keep the walls apart . a stope-miner drills thirty six-foot holes in a shift, and then fills the wholes with dynamite and blasts." The above illustration is a testimony to the fact that Harrington is successful in getting to the root of the hardworking miners, then to represent it through art. Much of Harrington's interest lies in revealing the character of John Vance who has decided to open a school for teaching English to the miners. Father Dubois feels that Vance might not survive in the camp community. The immigrant workers 'with their broken dreams' drift northward from the southern cities. The grandeur and titanic force is inherent in Vance engaged in the greatest undertaking of his life-teaching the miners. Harrington with the freedom and imagination of a great artist focuses his novel in such a way that the whole world of the immigrant workers or 'torn souls' is vividly presented. Harrington works in his novel Anvil with the clay of human action. The whole novel is about the great moment in John Vance's life as he comes first time to North where his father died fourteen years ago in the mines. It is a hard task for Vance to teach English to the miners. He says, "I plough deeper into the mire, by trying to explain the nature of common working-class language. I founder, and begin to sink." Vance exercises great influence upon the miners. Kowak, 'flamboyant, aggressive and outspoken" politician, tries to exploit Vance to get the votes of the miners. Vance is not comfortable with this: "In the world of politics, the half-truth is a way of life. It becomes truth with use and justifies the manipulation of lives as if they are pawns in a game where the means is subservient to the end. I'm glad I'm not a politician." Harrington, the sage and philosopher, is giving a message that we can come out triumphant out of chaos and gloom of materialism if we fix our gaze on the light of our own soul, and don't indulge in vain rush foe power and greed. The most important thing in life is to hear "the sound of our dreams." The Great Raven protects those persons who give and sympathize. 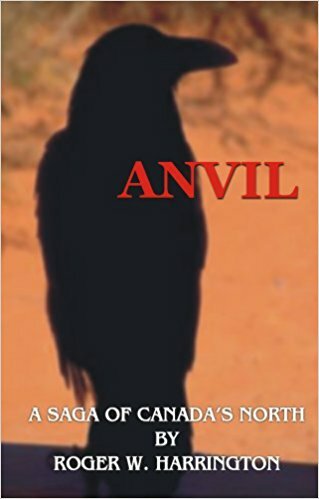 The novel is strongly planned, as each section of Anvil opens with profoundly intense Northern parable with a quality of the mystical and mysterious. The-toh-mek, the great moccasin maker, neglected his craft after becoming the chief. He "never regained the peace of spirit that he had lost." He could never find the magic again. "It is said that The-toh-mek never again made moccasins of the quality he made before he became chief, and that he never again heard the songs of his children." Anvil is remarkable for its spontaneous vitality and depth which entitles it to a high place in cotemporary fiction.